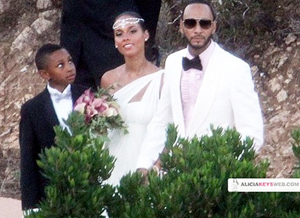 Alicia Keys and husband Swiss Beats pose for pictures after their wedding on Saturday (July 31). A pregnant Alicia Keys tied the knot with Swizz Beatz in a ceremony on Saturday at a private home by the Mediterranean Sea. The singer’s rep confirmed the nuptials, which were conducted by the couple’s friend, Dr. Deepak Chopra. The bride wore an ivory silk, georgette-draped gown by Vera Wang and carried a bouquet of purple cala lillies, while the producer wore a tuxedo by Tom Ford, according to reports. “Wowwwwwwwwww,” Beatz wrote on his Twitter account Saturday. 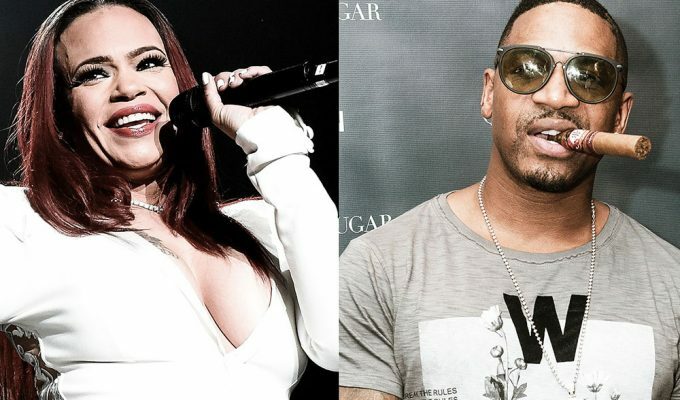 Keys, 29, and Beatz (whose real name is Kasseem Dean), 31, have been together since fall 2008, and are expecting their first child together. They announced their engagement and the baby news in May. The child is the first for the couple. Beatz also has two other children, Kasseem Jr., 3, and Prince Nasir, 9, from previous relationships.